It's got a convenient dry erase board, too! No longer is your game of Scrabble relegated to the floor and held captive by the ever-present clutches of gravity! 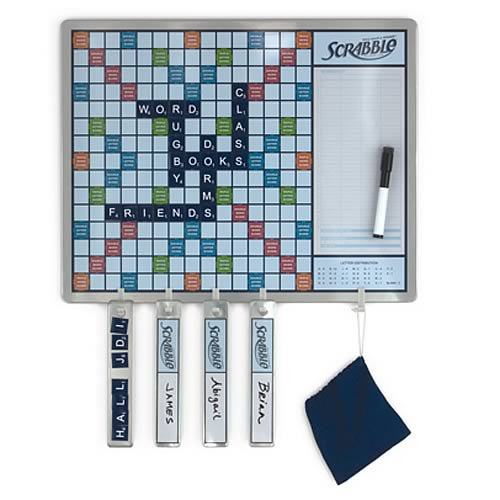 Play Scrabble wherever you want with the tin playing surface of this Scrabble Message Board Game which is complete with magnetic tiles and tile racks. It's even got a super-convenient dry erase board on the side and comes with a dry erase marker. Whoa. For 2 to 4 players. Ages 8 and up.